Check the term of years left on your lease. WARNING! Please do not become complacent – if you have a lease term over 80 years you are fortunate. Now, instead of putting away your Lease and forgetting about the issue you should seize the opportunity of extending a strong lease to an even stronger lease. The result is that you would pay a relatively low premium to obtain an additional 90 years to the existing term and the ground rent is reduced to a peppercorn. – essentially ZERO rent. A lease term above 80 years does not attract marriage value. Marriage value is the difference between the current property value against the value of the same property with a long lease term and peppercorn ground rent. The difference, referred to as “profit” is split and half of the “profit” is payable to the Freeholder. Contact a surveyor and solicitor who specialise in Leasehold Enfranchisement. – The solicitor shall investigate whether you and the building qualifies pursuant to the Act. – The surveyor shall provide an opinion on the likely Premium to be paid for a lease extension. Landlord/Freeholder. To assist the solicitor, you should provide your most recent ground rent and service charge demands. b) Once a valid section 42 Notice is served a strict timetable is initiated. Provided you have instructed specialist advisors you need not worry as they shall safeguard your interests through the process. Please note that once a section 42 Notice has been served you become liable for the Competent Landlord/Freeholder’s reasonable section 60 costs. c) It is very likely that a Competent Landlord/Freeholder shall exercise their right and request payment of the statutory deposit. This will be either 10% of the premium quoted in your initial notice or £250, whichever is greater. TIP! Good finance management is important here. Upon receipt of your surveyor’s report you should discuss the amount to be set aside to cover the statutory deposit which is payable within 14 of the request from the Competent Landlord/Freeholder’s solicitor who will hold the deposit as stakeholder. d) It is also likely that the Competent Landlord/Freeholder’s surveyor will require access to inspect the property for the purposes of completing their own valuation report. e) Once two months have lapsed you should have received a Counter Notice. The consequence of failing to serve the Counter Notice are that as a Lessee you are entitled to a lease extension as per the terms you set out in the initial Notice. WARNING! Do not be alarmed upon receipt of the Counter Notice if the figure quoted is exceptionally high as the Competent Landlord/Freeholder are not bound by the same constraints of having to serve a reasonable offer. This does not mean that you have to pay an unreasonable amount. f) The Competent Landlord/Freeholder may also offer an informal deal alongside the Counter Notice. This may need some careful consideration but for some Leaseholders may offer the more attractive option if they are seeking to sell their property in the foreseeable future. g) Upon receipt of the Counter Notice you can sit back and allow your surveyor to negotiate. There is a two-month period known as the statutory negotiation period whereby the surveyors thrash it out to reach an agreement. h) Upon expiry of the two-month negotiation period your solicitor will reassess the progress being made between the surveyors and consider making an application to the First Tier Tribunal, Property Chamber. An application must be made within six months of receipt of the Counter Notice or you would risk a deemed withdrawal. 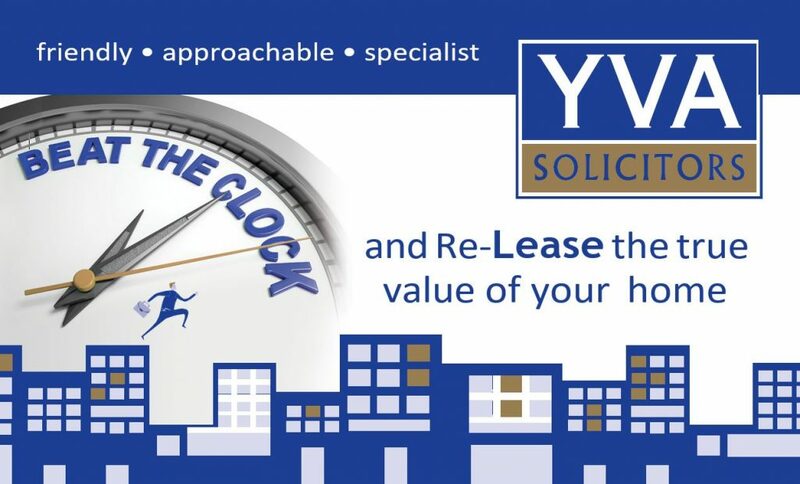 The timetable in Leasehold Enfranchisement is very strict and it is imperative to instruct a specialist in this area to ensure the deadlines are not missed. i) Once the Premium has either been agreed or determined at a Tribunal, the latter is unlikely as most cases settle without the need for a hearing, the solicitors would agree the form of the new lease and proceed to complete the lease extension. j) Once terms of acquisition have been agreed you have four months to complete the lease extension. This is a strict deadline and failure to complete within this timescale would result in a deemed withdrawal (in the absence of an application to Court). NOTE: If you are remortgaging, it is important your solicitor and broker communicate with the timing of making an application for the remortgage and the drawdown of funds. k) A completion date will be agreed and you will complete the lease extension. 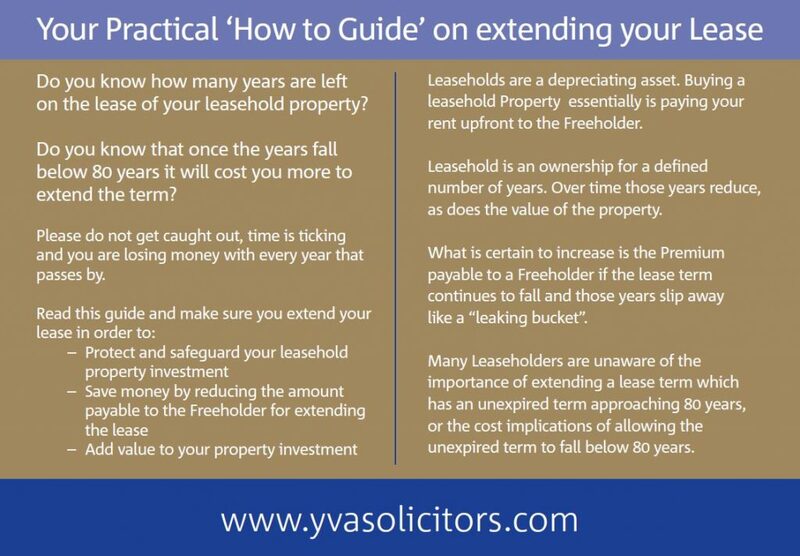 The Land Register will be amended and you would have successfully completed the process – protecting and adding value to your leasehold interest.